Dr. Ted Baehr is an American media critic and chairman of The Christian Film and Television Commission. He publishes MOVIEGUIDE, a Web site and biweekly journal that evaluates motion pictures and other entertainment products from a conservative Christian perspective on suitability for family consumption. His life’s purpose is to be used of God to redeem to values of the media while educating audiences on how to use discernment in selecting their entertainment. The Christian Content of 'Harry Potter and the Deathly Hallows' -- Author J.K. Rowling told reporters in 2000 that the last book would answer all their questions about her faith -- and Deathly Hallows was no disappointment in that regard. John Granger was the first serious reader of the books to argue the stories were Christian in conception and meaning back when some Christians were burning the books. In this talk, he explained how the series finale is Ms. Rowling’s story about the difficulty and importance of faith, what we shouldn’t believe, and the transformations right belief make possible. The seventh book delivers on all the foreshadowing and themes of the previous books, and John Granger explained this in inspiring fashion. Unlocking 'Harry Potter and the Deathly Hallows': Five Keys for the Serious Reader -- Author J.K. Rowling is a brilliant writer who uses specific tools to craft her meaning and create the effects in her readers that she wants -- tools she borrows from Austen, Shakespeare, Dickens, Lewis, and Dante. In his presentation, John Granger raided Ms. Rowling's "magic tool chest" and shared how she wields the tools of narrative misdirection, literary alchemy, the hero's journey, postmodern themes, and traditional symbolism to engage and entrance us well beyond suspended disbelief. Moreover, the lecture opened up the mystery of fine writing and its place in the life in Christ. Mirroring the wider culture, Christian viewers of film often adopt one of two positions: Either they see film as innocuous entertainment, or they see Hollywood as a toxic source of cultural decline. Still, others would promote only those films that offer squeaky-clean stories with tidy, happy endings. Sorting through these approaches, Dean Hibbs will offer an approach to film and culture based on the thought of Blaise Pascal, who described human life as a quest for illumination in the midst of darkness and stated that he could commend only “those who seek with groans.” Hibbs addressed a few contemporary films, including The Children of Men, The Orphanage, and The Dark Knight. He also has written on film, culture, books and higher education in Books and Culture, Christianity Today, First Things, New Atlantis, The Dallas Morning News, The National Review, The Weekly Standard, and The Chronicle of Higher Education, for which his latest piece is a study of the ethical implications of the films of the Polish director Krzysztof Kieslowski. Hibbs' movie reviews can be found here. The Honors College and Phi Beta Kappa invited students, faculty, and staff to an informal conversation with Mark Helprin, a renowned novelist and political commentator. The first conversation included, A Discussion in Which I Will Try To Convey to You My Amazement That I Have Spent My Life and Made My Living As a Writer. Later that evening, Helprin delivered the esteemed 2008 Phi Beta Kappa Albaugh Lecture. Born in 1947, Mark Helprin was raised on the Hudson and in the British West Indies. After receiving degrees from Harvard College and Harvard's Graduate School of Arts and Sciences, he did postgraduate work at the University of Oxford, Princeton, and Columbia. He has served in the British Merchant Navy, the Israeli infantry, and the Israeli Air Force. He was published in The New Yorker for almost a quarter of a century, and his stories and essays on politics and aesthetics appear in The Atlantic Monthly, The New Criterion, The Wall Street Journal, Commentary, The New York Times, The National Review, American Heritage, Forbes ASAP, and many other publications here and abroad. Click here for more information about Mark Helprin. This inaugural colloquium was presented as a free event for the public through the efforts of the Baylor Honors College, Department of Classics, and Department of Political Science. Josiah Ober holds the Constantine Mitsotakis Chair in the School of Humanities and Sciences at Stanford University. He has authored or co-authored approximately 60 articles and a number of books, including, most recently, Athenian Legacies (2005) and Democracy and Knowledge: Innovation and Learning in Classical Athens (forthcoming 2008). In addition to his ongoing work on the politics of knowledge and innovation, he is developing a project on the emergence of centralized and dispersed systems of political authority. Danielle Allen is widely known for her work on justice and citizenship in ancient Athens and its application to modern America. She is the author of The World of Prometheus: The Politics of Punishing in Democratic Athens (2000) and Talking to Strangers: Anxieties of Citizenship Since Brown vs. the Board of Education (2004). In 2002 she was awarded a MacArthur Fellowship for her ability to combine "the classicist's careful attention to texts and language with the political theorist's sophisticated and informed engagement." She holds doctorates from both Cambridge (in Classics) and Harvard (in Government) and is currently the UPS Foundation Professor at the Institute for Advanced Study. Stephen Salkever was educated at Amherst College and the University of Chicago and has taught for many years at Bryn Mawr College, where he is the Mary Katharine Woodworth Professor in the Department of Political Science. He is the author of Finding the Mean: Theory and Practice in Aristotelian Political Philosophy (2006), editor of the forthcoming Cambridge Companion to Greek Political Thought, and author of numerous articles, chapters, and reviews on ancient, modern, and contemporary political philosophy. 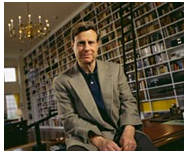 Dana Gioia is a poet and critic. His influential book, Can Poetry Matter? began as an essay of that title in The Atlantic and sparked widespread discussion about the role of literature and the arts in a democracy. A longtime commentator for the BBC, Gioia's most recent volume of poetry, Interrogations at Noon, won the American Book Award. Edward E. Ericson Jr. is professor emeritus of English at Calvin College. He is the author of Solzhenitsyn and the Modern World (1993), and he also served as the editor of the abridged, single-volume version of The Gulag Archipelego, which was authorized by Solzhenitsyn. 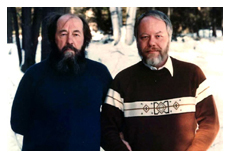 For more information about Ericson and Solzhenitsyn, click here.